Leave no question about your kids’ affinity for orcas with this deluxe boys gift set featuring all the right things to keep them swimming in comfort and style! Swimming underwater just got better with Fin Fun’s Deluxe Orca bundle for kids! 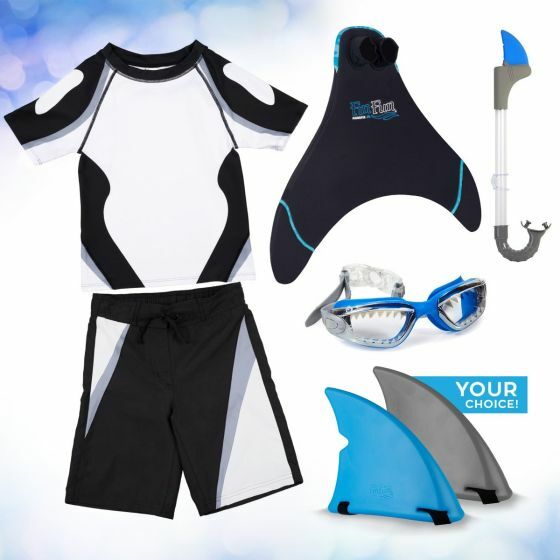 This exciting collection features a two-piece swimsuit set designed with the unmistakable markings of the black and white orca, plus a monofin and other extras to take their under-the-sea dream to the next level! 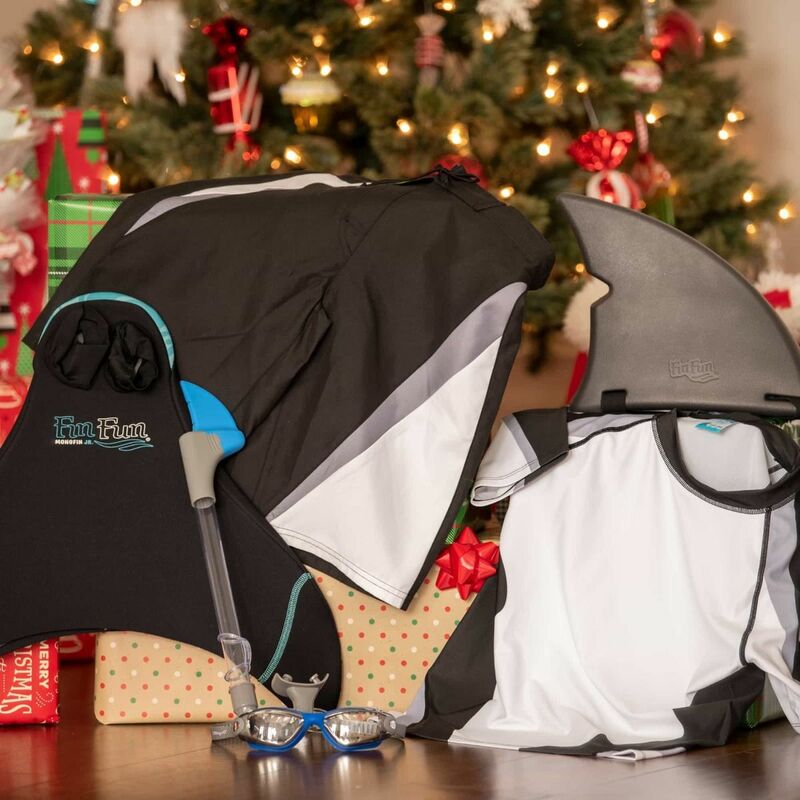 For the kids who spend so much time in the water they may as well be fish, this special gift set also includes a shark fin for added excitement at the pool, plus a shark fin snorkel and goggles from Bling2o.